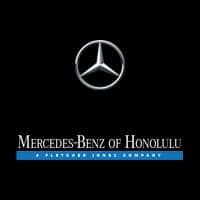 The finance department at Mercedes-Benz of Honolulu is here to make sure that you receive a financing plan to meet your individual requirements. Instead of adopting a one-size-fits-all policy, our dedicated finance team will take the time to understand your unique situation. They’ll then work tirelessly with a number of financial institutions to get you an outstanding offer on a car loan or lease. We want every stage of the buying or leasing process to be as simple and stress-free as possible, and it shows in the way we conduct business. To get started now, just use our online finance application.